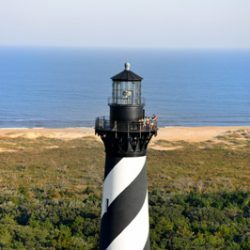 Beaches, historical sites and restaurants of the Outer Banks. Play three rounds of Golf at the top rated championship course Kilmarlic Golf Club. 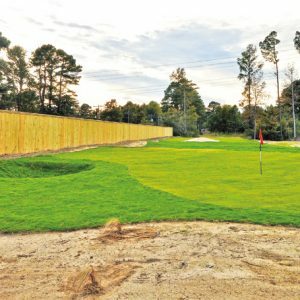 Kilmarlic offers a memorable golf experience unlike any other on the Outer Banks. 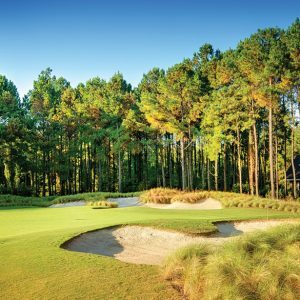 Play your way through canopies of giant oak, pine and dogwood that exemplify the natural beauty of North Carolina’s Outer Banks and you will understand Kilmarlic’s unique partnership between golf and nature. * Based on four-person occupancy in a two-bedroom resort view unit. Based on availability. 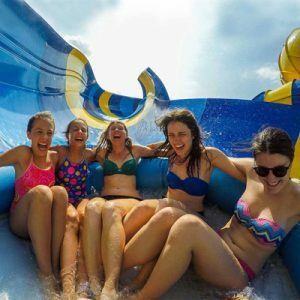 Reservations inside 30 days must be paid in full and no refund on cancellation. Optional rates and dates may vary based on availability. May not be combined with any other offer. 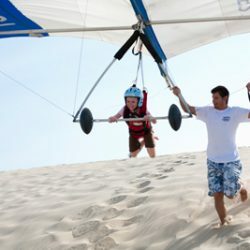 Rates may vary per dates of stay and available accommodations. 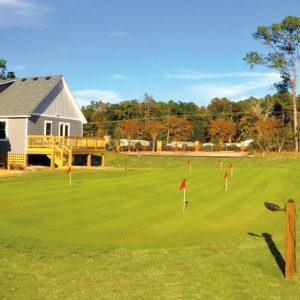 Guests and Homeowners will enjoy the expansive, lighted putting green just steps from their back door, a new short course for evening fun and access to the premier golf experience on the Outer Banks – Kilmarlic Golf Club. 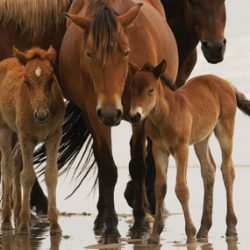 Located at the top of North Carolina’s barrier islands, the Outer Banks divides the Atlantic Ocean from the Currituck Sound. It’s hard to imagine a more picturesque and exciting place to vacation. 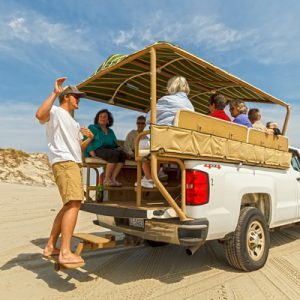 Couple this with 130 miles of the wildest, most natural and undeveloped beaches in the country and you have the perfect getaway. 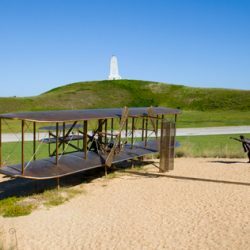 Away from the beaches and the golf courses you can enjoy the Wright Brothers Museum, outdoor adventures like hang gliding at Jockey’s Ridge and kiteboarding, tours of the area’s historic lighthouses, watching the wild horses roam the beaches in Corolla and the brand new H20bx Waterpark, perfect for the entire family! Please complete the form for more information about The Cottages at Kilmarlic. We would love to hear from you! @ Copyright 2018. Cottages at Kilmarlic.